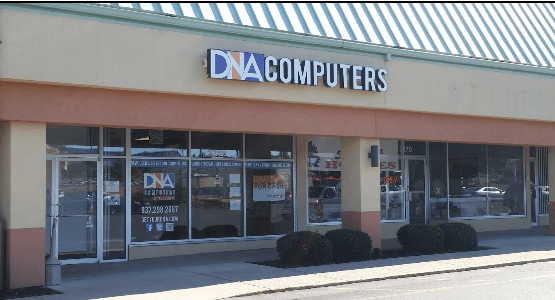 At DNA Computers, we see a wide variety of systems walk through our doors; from desktops, laptops, tablets, convertibles, and 2-in-1’s, our favorite systems to work on are gaming computers. Since we are all gamers here, ourselves, we might be a little biased, though! Nevertheless, while a gaming computer is technically very similar to its office-bound brethren, we have found through our experience working them that there tends to be a set of issues that gaming computers in particular have to deal with. Those issues usually involve a combination of heat, drivers, and/or BIOS issues. The number one issue we see with gaming computers is heat. It’s true that in any computer, heat is the number one enemy to the components contained within the machine. But when you’re using high-performance components, the margin for error with the cooling system becomes much smaller, and proper cooling becomes critical to system performance and stability. Issues with heat can be solved in three ways. First, it is important to be sure the cooling solutions selected for the machine are adequate for the hardware running inside. Cooling solutions range from air-cooled solutions all the way to fully-custom water cooling setups. Second, it is crucial to determine that the cooling system in place is actually functioning as it should, and that there are no broken fans or pumps in the situations with water cooling. Last, it is critical to ensure that the thermal paste for both the CPU and video card is fresh enough do the job it is supposed to. If the thermal paste has dried out, that can cause problems as bad as a broken fan or pump- the system simply will not be able to cool effectively if the paste is dry and old. Bad thermal paste can make-or-break performance and stability of a gaming computer. Once issues with hardware have been accounted for, the next issue we see commonly with gaming computers are issues with drivers. On a Windows-based PC, drivers are pieces of software that enable Windows to talk to, and interact with, all of the individual components inside your computer. Drivers are critical, because if Windows either does not have a driver at all, or the wrong driver, you will not be able to take advantage of the full capabilities of your system. In the past, finding, downloading, and installing drivers could pose a significant challenge, but today, on the most modern Windows available, Windows 10, Windows Update is able to find most, if not all of, the most essential drivers needed to enable basic functionality of the computer. While this is fine for garden-variety computers that see basic use, Windows Update falls far short of the mark with gaming systems. In gaming computers you typically find the latest, highest-performing hardware, and this kind of hardware needs the latest, most up-to-date drivers available for the best performance and stability. Drivers for gaming hardware are updated frequently to provide the best performance and functionality, and Windows Update simply cannot keep up with the pace of these updates. We look for the latest drivers, provided by the component manufacturer themselves, for the best functionality. Sometimes we see issues with gaming systems that cannot be attributed to excess heat or drivers. In these cases, we look at the system BIOS. In the sense that Windows is your operating system you use to get things done on the computer, the BIOS is like the computer’s operating system. The BIOS tells the computer basic things, like how to boot, and how to configure low-level settings for hardware components. The general rule-of-thumb for dealing with the BIOS is that it is better left alone if it is otherwise not causing issues. The trick with gaming computers, though, is that they typically use brand-new, cutting-edge hardware. When you have a system with hardware that is so new to the market, oftentimes there will be a series of updates to the system’s BIOS that will be pushed immediately after the hardware hits the market. It is common for systems running brand-new hardware to need updates to the BIOS -the hardware hasn’t been out in the wild long enough for the manufacturers to even-out all of the issues. For newer systems, updating the system’s BIOS can go a long way to ensuring system stability and the highest performance possible. Owning a gaming computer, even building one, can be an incredibly rewarding experience. But much like it would be to own a high-end, top-performance automobile, gaming systems can need attention paid to them that the average PC does not require. To make a gaming computer run its best, it takes a certain amount of time and effort to configure these systems properly. If you’re an enterprising type of individual, these sorts of issues can be checked on your own. But if you’d like your new or existing gaming system to run at its best, take it to gaming experts DNA Computers, your friendly neighborhood computer store.